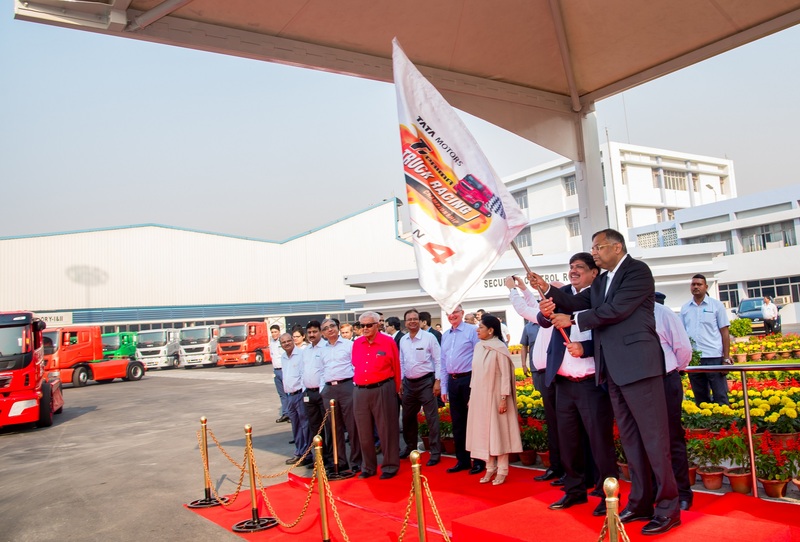 Tata Motors has flagged off T1 Prima Truck Racking Championship on 3rd March in Jamshedpur. The championship was flagged off by the Tata Group Chairman, Mr. Natarajan Chandrasekaran on the 178th birth anniversary of Tata group founder, Jamsetji N Tata. Founder’s Day is celebrated on March 03 across the Tata Group to memorialise the life of the Tata group Founder Jamsetji Nusserwanji Tata and his contribution to India. The Founder of the Tata group with his powerful vision inspired the steel and power industries in India, set the foundation for technical education, and helped the country leapfrog from backwardness to the ranks of industrialised nations. Considered as the F1 of Truck Racing in India, the T1 PRIMA TRUCK RACING CHAMPIONSHIP is a grand spectacle of Tata PRIMA race trucks battling it out against each other. Having kicked-off TRP 2.0, under a new theme of ‘Junoon-e-Trucking’, Season 4 will once again see Indian truck drivers compete against each other for ultimate glory. TRP 2.0 is one of the country’s most comprehensive motorsports driver training and selection programs conceptualized and conducted by Tata Motors. Through TRP, Tata Motors is training Indian drivers to excel in the sport and in their respective professions.